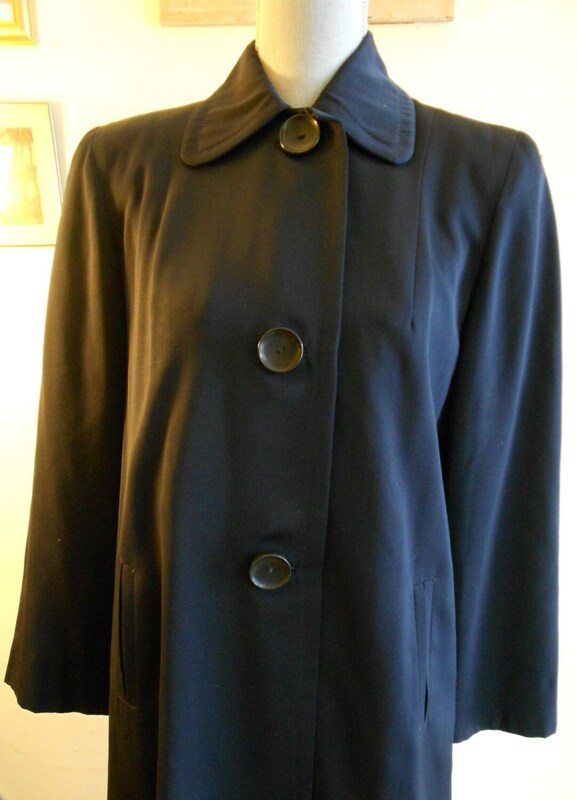 1940's, 40" chest navy blue wool gaberdine fall weight coat, with moderate pointed collar, and three large round blue plastic buttons fasten coat in front. Two slash pockets are placed at each hip. 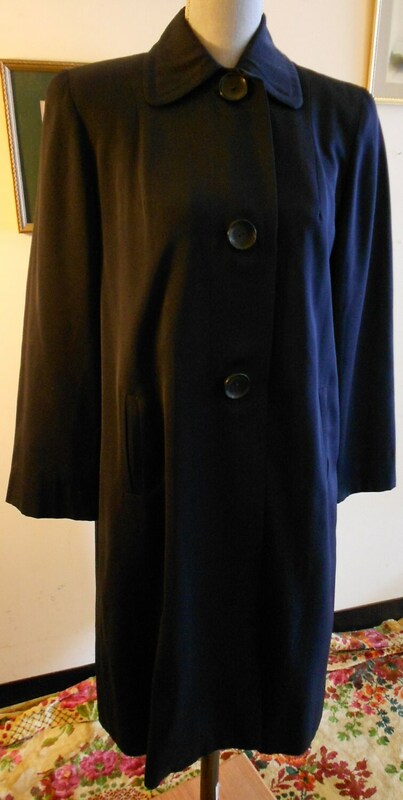 Long loose sleeves and square padded shoulders, make up the shape of the coat. The coat is fully lined in light blue acetate. 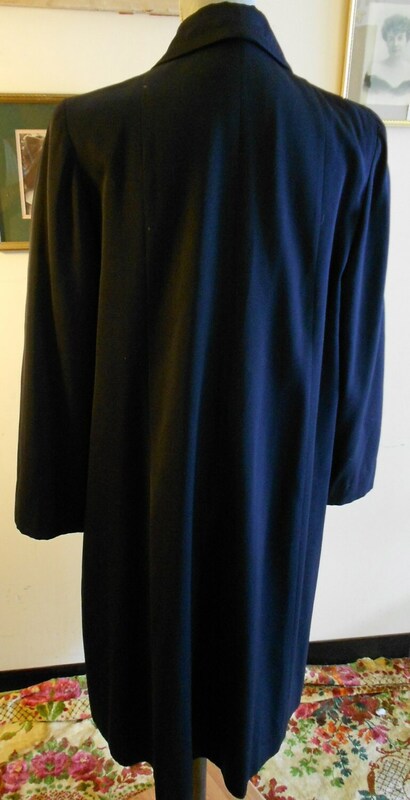 Label reads "tailored by Rencoft".